On arrival, we provide a pickup from Egilsstaðir Airport and we offer two options for this: on the 1st or on the 2nd day of the month after the second domestic flight (depending on a day this would be at 13:10, 15:20 or 16:35) when these dates are weekdays, and if they are weekend we will arrange the pickup after the morning flight. We would ask you, if possible, to match your arrival to either of these pickups. However, if this is absolutely impossible for you, please, contact us and we will find another solution. Other expenses for transport are the responsibility of each participant. Please note that the Centre does not provide transport to the airport on your departure. For this journey, public transport is available from Stöðvarfjörður to Egilsstaðir Airport. The bus schedule only connects with the morning flights, so keep that in mind when booking your departure. It is possible to buy bus tickets on cost price in the Centre. You can find more information about transport around the country under the tab “How to get here”. Brekkan is a local shop and café. It sells basic supplies. Once a week we provide a ride to the nearest supermarket and all passengers partake in gas cost. The cost is usually around 500 ISK both ways per person. You can use the public transport system to get your way around the fjords. Here is the timetable. Team members are around and about the factory from 8:00-16:00 every weekday. Each morning they meet from 8 to 9 at the factory kitchen for morning coffee (or tea :) and a chat and again over the lunch on 12:00-13:00. Artists are very welcome to join in if they like, but this is not compulsory. We stock a variety of art supplies in the Centre which Artists can purchase; Clay and Glazes (detailed information and see prices here), Plaster, Concrete, Linoleum, Paper, Print Color (see prices here) and Wood Glue. Team members can assist Artists in obtaining other materials that they need for their projects. 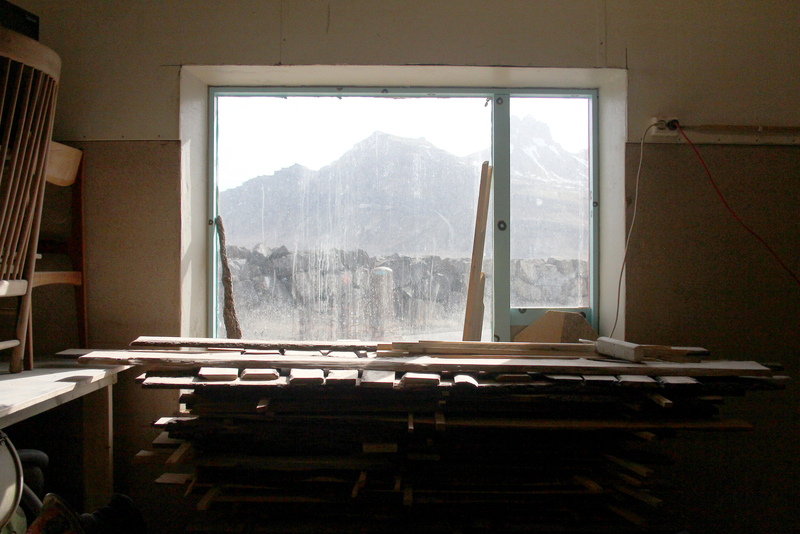 Most common art supplies can be got from the nearest hardware shop or ordered via phone from Reykjavík. The shipping takes 1-3 days maximum. Here are links to art supply stores in Reykjavík; Slippfélagið and Litir&Föndur. Specialized materials might not be available in Iceland. In those cases, Artists may ship the materials here before their arrival but please, contact us about it beforehand. Note that customs charges apply on new imported items and receipt of purchase will be requested by customs. If shipping your materials or tools that are not newly bought, state on the parcel that these items are your personal belongings. In those cases, customs charges are usually not claimed. In Iceland, the weather is unpredictable in all seasons. Bring warm waterproof clothes, thermal layers, and sturdy shoes/boots. We are surrounded by spectacular landscape. If you enjoy outdoor activities come prepared :) If you plan on driving around Iceland it is important to check the weather forecast and road conditions. Iceland can be a rough place to travel during the winter months and the conditions can rapidly change. Health Care Centers are in the municipality. If you need to see a doctor we will help you make an appointment. If you need to take subscription medicine on regular basis make sure you have enough for your stay. There is a Pharmacy open during weekdays in Reyðarfjörður, Eskifjörður, and Egilsstaðir. You can click on the links for the opening hours. There is a small Pharmacy in Stöðvarfjörður at Túngata 2. The opening hours vary according to season and summer vacations. These are listed on the front door of the Pharmacy. 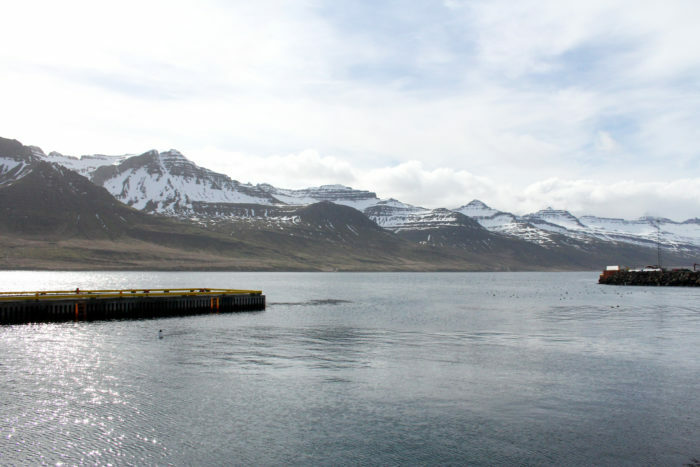 The swimming pool in Stöðvarfjörður is open from 15th of May – 15th of September, Monday-Friday from 13:00-19:00 and Saturday-Sunday from 13:00-17:00. Pools in nearby fjords, Fáskrúðsfjörður, Eskifjörður and Neskaupsstaður are open all year around. Here is their timetable. The pool in Egilsstaðir is open all year around as well. Here is their timetable. We have a very good postal service in Stöðvarfjörður. The post lady/man comes by most working day of the week. Information about prices for post & parcels at postur.is is on the MENU. In Iceland, we use the common European power plug type C with two prongs and 220 – 240 V power.